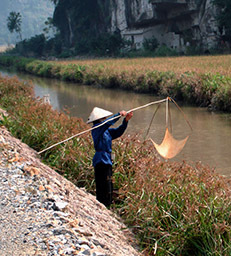 Hanoi, the Red River Delta, Hanoi. 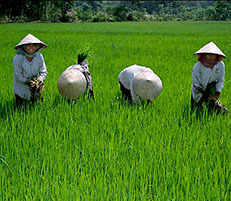 See and feel the real Vietnam on just a one-day trip south-west of Hanoi. 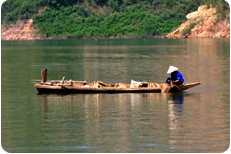 Ninh Binh province is located in the Red River Delta. 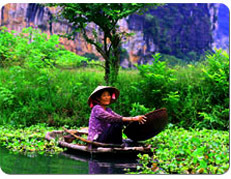 The area surrounding Ninh Binh features a complex network of channels, paddy fields and magnificent limestone formations. 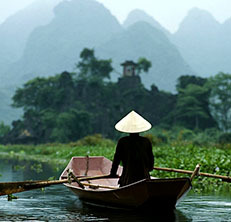 We depart Hanoi and journey to Ninh Binh province. 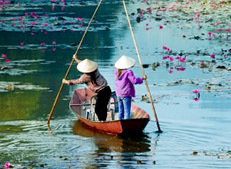 Upon our arrival at Ninh Xuan area, a firm favourite with walkers, we enjoy a wonderful boat ride along a scenic canal. 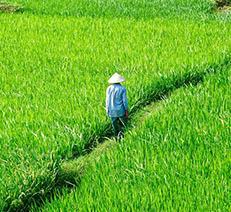 This is followed by a delightful walk through spectacular scenery, and dramatic limestone peaks rising up from open rice fields. 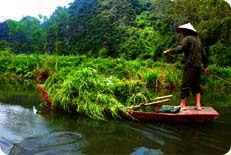 Those who are more interested in local cuisine than just sightseeing can settle in with a local family and learn how to make some authentic Vietnamese food. Dishes include succulent spring rolls, zesty sauce dips and sticky rice. We then enjoy the family’s gracious hospitality as they share lunch with us. 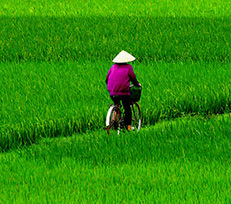 After lunch we take a bicycling ride around several villages and witness the tight-knit community at work. 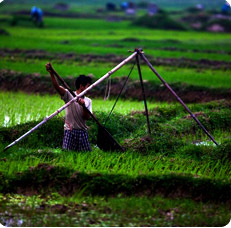 We learn about agriculture, such as rice cultivation, and the growing of peanuts and assorted vegetables, a time-consuming and labour-intensive process. 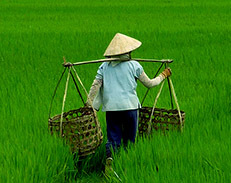 This is followed by our journey back to Hanoi, arriving there at around 5pm. (Lunch is included). 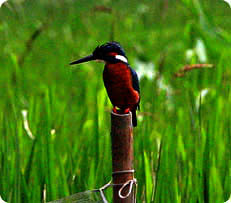 - a 3-4 km hike and a 6-10 km bicycle ride. 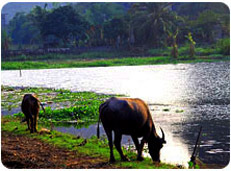 Experienced and friendly Tour Guides, all of whom speak fluent English. 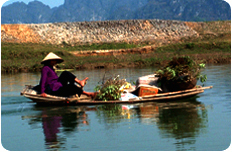 Every Guide is knowledgeable about local cultures, history and the environment. 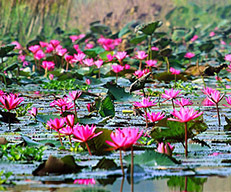 - $62USD per person for a group of 2 to 4 people. - $52USD per person for a group of 5 to 8 people. Pack essentials, including comfortable hiking shoes, your favourite snack.